"LIVE YOUR DREAM WITH PROFESSIONALISM"
A developing country like India has to keep pace with the rapid changes the world over. 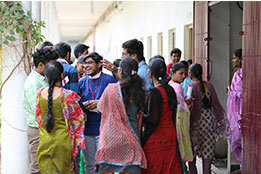 Noticing that while Andhra Pradesh produces a record number of professional graduates each year, but not all are trained to be industry-ready. 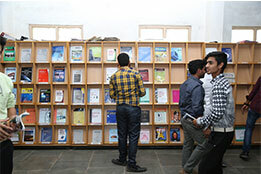 So to fill that void a visionary group of academicians founded the Creative Educational Society (CES). 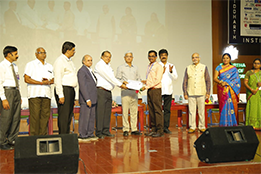 Under the Society, two institutions were established Creative Educational Society’s College of Pharmacy (CESCOP) and Brindavan Institute of Technology and Science (BITS). CESCOP was established in the year 2006 with a vision to produce world-class pharmacy professionals who are industry-ready. The CES College of Pharmacy is being further developed as a center of excellence for world-class pharmacy education and research. 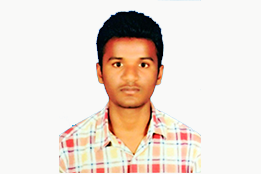 Mr. Kuruva Mahidhar, PIN: 15439-C-026 receiving ISTE AP State Level "Best Ideal student of Talent and Excellence from Polytechnics" award. From honourable Vice chancellor of JNTUA at ISTE Annual convention. 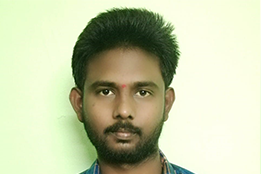 Mr.Vemuri Himadhar ( Roll No. 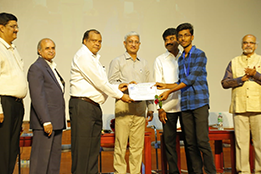 142N1A03A9) receiving ISTE AP State Level "Best Mechanical Engineering Student" award. 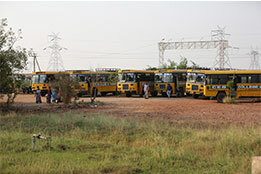 Regd No.142N1A0301, Mechanical Engineering, BITS, KURNOOL. 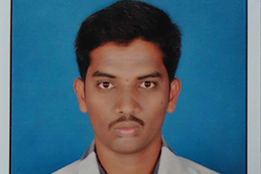 Mr.K.Jaya Surya, Regd No.152N1A0325, Mechanical Engineering, BITS, KURNOOL. Ever since I stepped foot on campus at BITS College, I knew there was something special there for me. I haven’t decided what my final degree will be yet, but I feel at home learning here. .
From day one, the instructors were what made the difference for me. I felt like they definitely took an interest in me, my education and my future. It was everything that they did, everything they said, the support that they gave, and how resourceful they were. 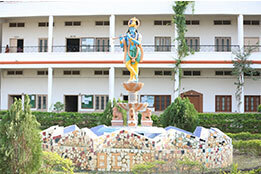 BITS is the top best engineering college in Kurnool district which has all the best in its features and facilities. 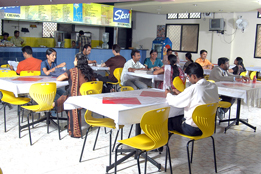 The faculty at BITS serve as teachers, mentors and friends that foster creative thinking.